The metaphorical union between people and the land, Papatūānuku, is seen in places named after parts of the human body. 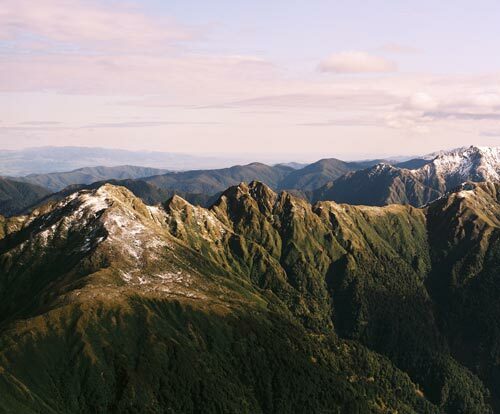 The Tararua Range was named Te Tuarātapu-o-Te Rangihaeata (the sacred back of Te Rangihaeata) after an important Ngāti Toa chief, Te Rangihaeata, to commemorate a peace arrangement between the Ngāti Toa and Ngāti Kahungunu tribes. The range became a dividing line between Ngāti Toa on the west side and Ngāti Kahungunu on the east. This view looks along the ridge between Mt Hector and Mt Crawford.